Debut author Jessie L. Star knows what’s up when we’re talking about those ladies that don’t put up with the bullsh*t. We all knew them: those damsels who took care of their business and were very far from helpless. Sure, they didn’t say no to love, but they sure didn’t let these men sweep them off their feet either. In her new novel, The Do-Gooder, Lara can handle business like nobody’s business. And by that we mean she’s basically a Boss. Lucky you, The Do-Gooder is on sale now at a special discounted price of $1.99! So if you’re having a bad day, or if you just want to do *the best you* today, all you need to do is take a card from these ladies’ books (and Lara’s) and turn the BAMF levels up. She gets kidnapped — from her original kidnappers, mind you — by the Dread Pirate Roberts, whom she believes killed her one true love. Then, when he has the sheer audacity to mock her about it, she straight-up pushes him off a cliff (okay, down a hill, but a very steep hill). She has to put up with so much from a variety of ne’er-do-well men and she does so with grace and good humor. And an excellent assortment of flowing dresses. Just so you know, my father blames his hair loss on me blowing through a stop sign while learning to drive and cheerfully quoting Cher’s “I totally paused!” as I did so. Sure Cher’s a bit spoiled and has no comprehension of the expression “none of your business,” but she’s also delightfully big-hearted and 100 percent there for her friends in their time of (fashion) crisis. It’s personal growth and good works she’s after, not a boyfriend. Look, I don’t think I can accurately express just how much I wanted to be Elena De La Vega when I was 12. She’s beautiful, she’s feisty, she dances a mean Spanish tango and she spends most of the film rolling her eyes and strutting about the place. I loved her. Also, when the men are off being all “you killed my brother, prepare to die” (hello again The Princess Bride!) at the end, Elena’s the one who goes and frees the caged workers who are about to get blown up. A woman with her priorities straight — I’m a big fan. Walter Stratford: Hello, Katarina. Make anyone cry today? Kat Stratford: Sadly, no. But it’s only 4:30. 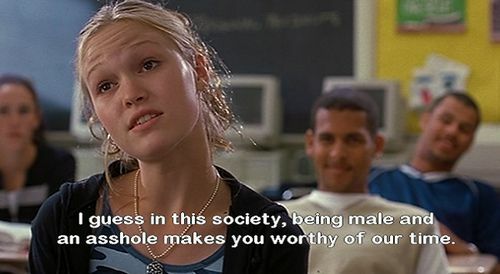 A true inspiration to a generation of teenage girls, Kat Stratford was taking nobody’s rubbish, especially if they were of the male persuasion. Whether she was hitting someone with a copy of The Feminine Mystique (or her car), pointing out the inequality of the authors she was being forced to read, or keeping a withering eye on her younger sister, she BAMF-ed her way through high school. Needless to say, I adore her. Yes, okay, she’s a cartoon lioness, but let me tell you, this girl has got her stuff together. Not only does she expertly pin her childhood friend to the ground whenever she’s in the mood, she’s also the one who sets out to retrieve him when he decides to fritter his life away Hakuna Matata-ing it up with his mates in the jungle. Simba: And there’s nothing you can do about it. So why worry? 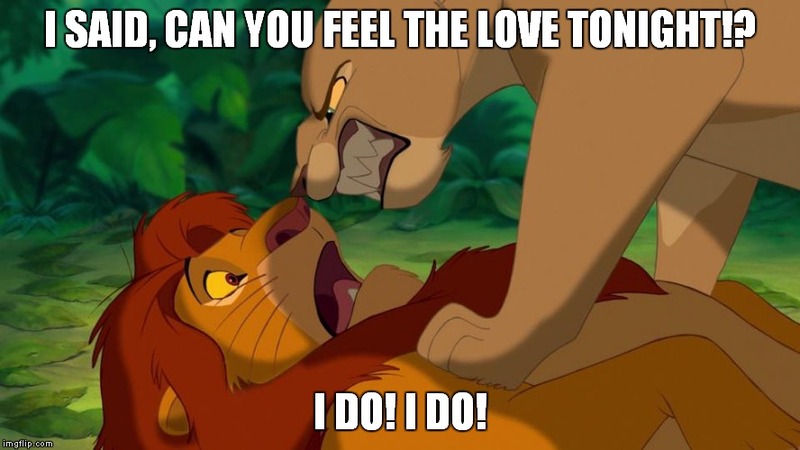 Nala: Because it’s your responsibility! Check out The Do-Gooder for some more BA-ness and some healthy doses of sass! This is a great list of ladies! 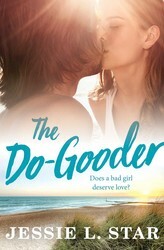 The Do-Gooder sounds like a good story.